During his first trip to China, Parker made the acquaintance of the Western trained Chinese painter, Lam Qua. 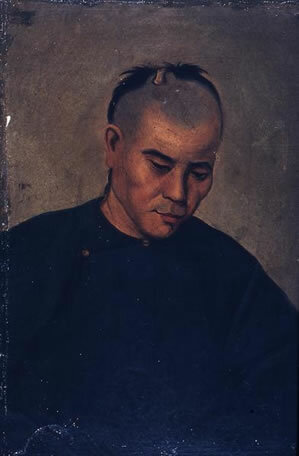 In the 1820s Lam Qua had studied under the patronage of George Chinnery, the first English painter to settle in China. Lam Qua's training and the level of mastery he developed enabled him to become one of the most revered Chinese painters utilizing the Western style of portraiture. As a result of his talent, he developed a sizable clientele from the Western community within as well as outside of Asia. 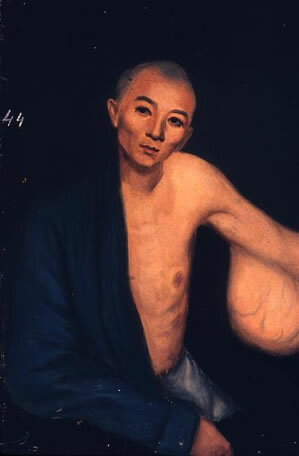 The most celebrated body of work by Lam Qua is the impressive collection of portraits, commissioned by Peter Parker in the 1830's, of patients at the Canton Hospital with large tumors or other major deformities. These startling and somewhat gruesome paintings of pathological subject matter are unsettling to the viewer. One of the most noticeable aspects of each portrait is the expressionless look on the subject's face. The lack of emotion turns the viewer's eye from the subjects' face to their pathology, or illness. Each subject appears to express neither pain nor sadness and serves as a testament to the human spirit in the face of physical adversity. Images displayed here represent only a part of the collection of Lamqua's work held by the Medical Historical Library at Yale University. The portraits are of men, women, and children of a variety of ages and at various stages in the progression of their tumors. Entries about each portrait have been taken from Peter Parker's journals when available; otherwise, they are accompanied by descriptive material provided by Karina Corrigan, Jack Lee, Ph.D., and William Strole, M.D. under the auspices of the Essex Peabody Museum in Salem, Massachusetts. Peter Rachmann, Ph.D., of Michigan State University has identified some of the sitters. Parker displayed these portraits on trips to the United States to promote his missionary activities. 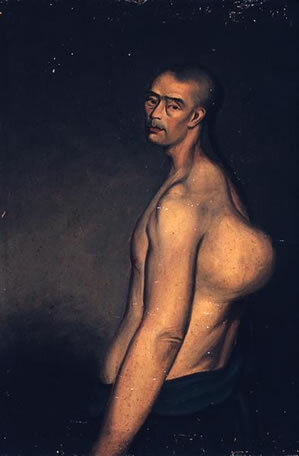 He left them to the Pathology Department of the Yale Medical School, which later gave them to the Historical Library. At some point, the portraits were numbered. Since most of the sitters are still unknown, the titles of the portraits are the numbers. There are 80 portraits in this collection.